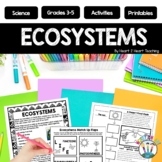 Students create a poster containing a food web, food chain, and food pyramid to compare and contrast their roles in the ecosystem. 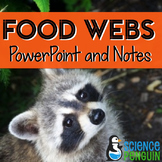 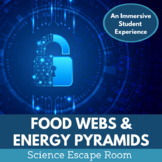 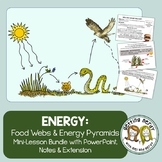 A simplified PowerPoint presentation to give students a fundamental introduction to food webs and food chains. 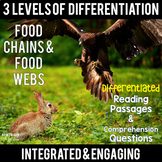 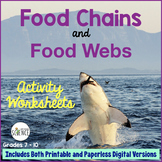 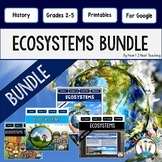 You will want to create or research some worksheets on both food chains and food webs after this or look up my worksheets that go alongside this PowerPoint. 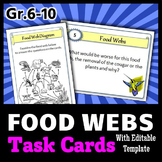 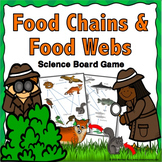 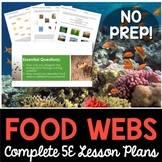 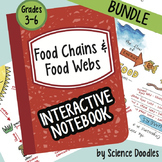 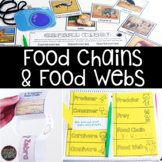 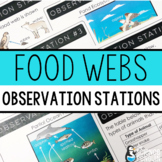 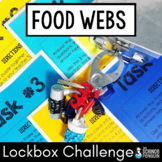 This set of 24 food webs task cards with EDITABLE TEMPLATE provides a great activity for student centered enrichment or review. 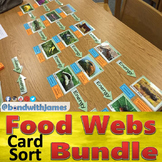 Students are given a diagram of a food web and all 24 Cards will have questions based on this diagram. 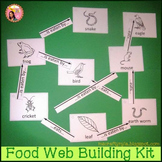 It requires higher level thinking in order to analyze the diagram.